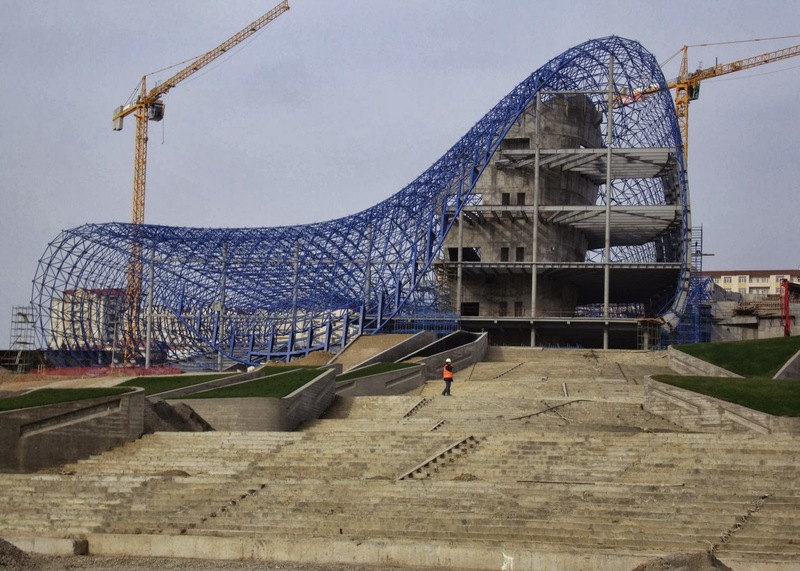 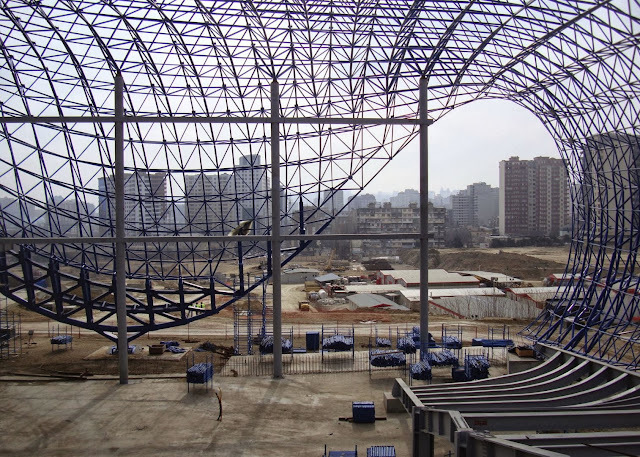 My FAVE building of the week is Zaha Hadid's Heydar Aliyev Cultural center in the city of Baku. It is magnificent and merits a visit to Baku...The building is a monument of light in the landscape with its endless continuous soaring curves. 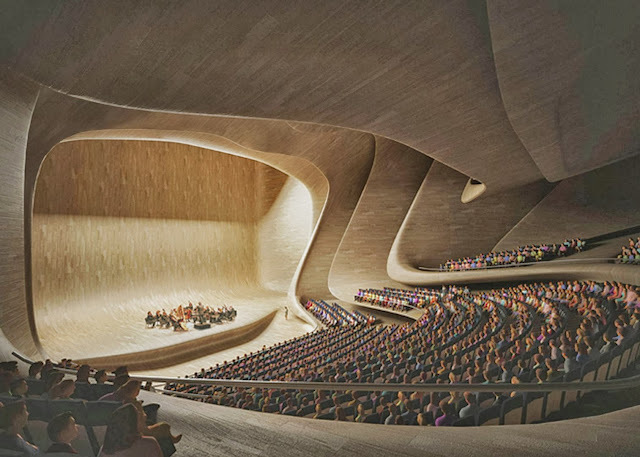 Designed to house an auditorium, a gallery hall and a museum, the project's role is to play an integral part in the intellectual life of the city and redevelopment of Baku. 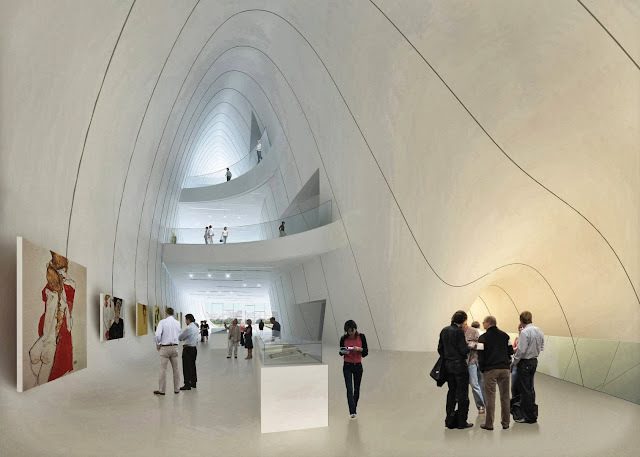 Each function inside the building is represented by rippling white paneled folds, which are separated by glass for natural light. The envelope is formed by a network of white composite panels that are integrated by geometries of complex triangles, trapezoids and parallelograms. 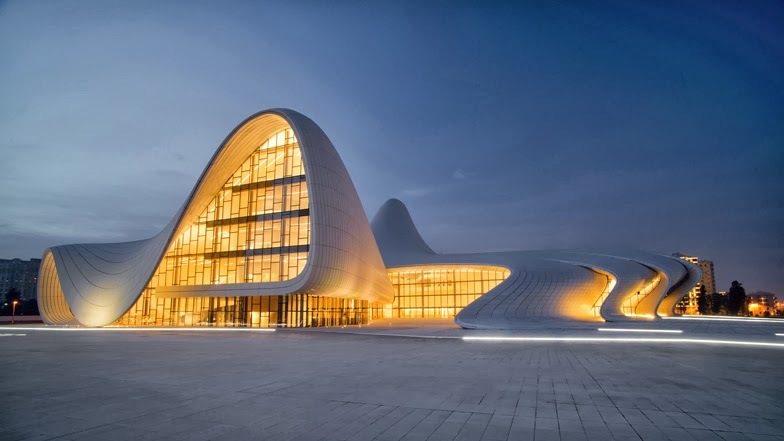 There are long sinuous openings that allow natural light to filter into the building. The interior volumes are as dynamic. 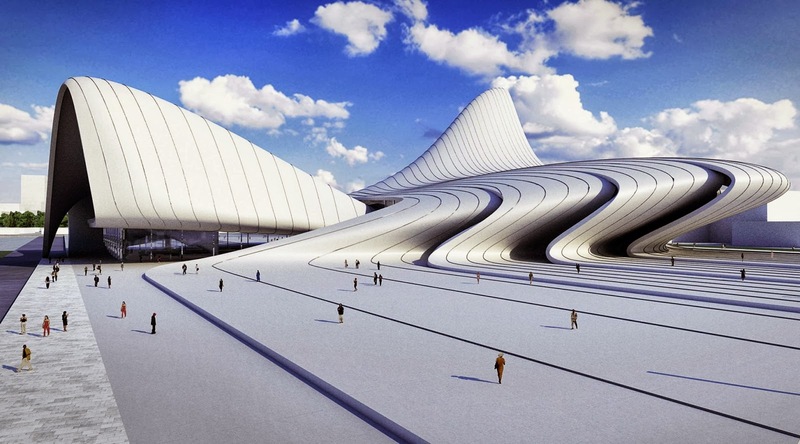 See some of the rendering from Zaha Hadid's site.